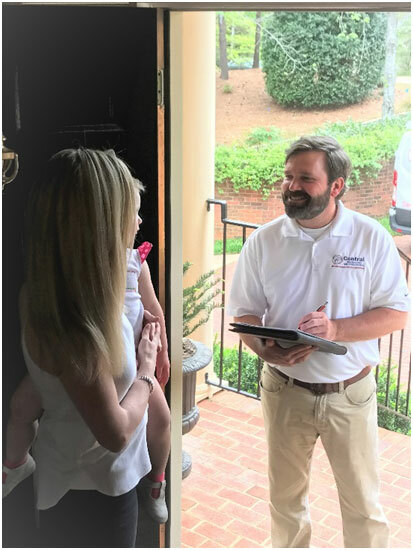 You will receive the professionalism and experience of a company that has been in the Heating, Cooling and Indoor Air Quality/Home Performance business for more than 70 years. Friendly technicians that are Nate (North American Technical Excellence) certified and Comfort Institute certified. Our technicians have the training, knowledge and resources to serve our customers HVAC system needs providing the service that you expect. Our technicians take pride in their work and in ensuring our customers satisfaction. Informed and courteous customer service representatives to schedule your service call or your periodic Central Maintenance Agreement service at a time that best fits your schedule. Professional Design Engineers with more than 128 years of combined experience in the industry that will tailor a system to the specific needs of you and your family. Respect for your home, family and belongings. Craftsmanship that is second to none. We care about the job we do and look forward to long lasting relationships with our customers. We will do what it takes to insure your satisfaction. You have a 100% satisfaction guarantee on everything we do. We are a drug free workplace certified by the “State Board of Workers Compensation”. We are also an 11 year member of the Better Business Bureau with an A + rating. Central Heating and Air Conditioning is a licensed contractor in the State of Georgia (# CN-6931). We are insured for Workers Compensation and we maintain General Liability Insurance. Give us a call and experience the healthy difference that we can make with the indoor air quality in your home and the comfort of your family.